For nine-year-old Sheldon Cooper, it isn't easy growing up in East Texas. Being a once-in-a-generation mind capable of advanced mathematics and science isn't always helpful in a land where church and football are king. While the vulnerable, gifted and somewhat naïve Sheldon deals with the world, his very normal family must find a way to deal with him. His father, George, is struggling to find his way as a high school football coach and as father to a boy he doesn't understand. Sheldon's mother, Mary, fiercely protects and nurtures her son in a town where he just doesn't fit in. Sheldon's older brother, Georgie, does the best he can in high school, but it's tough to be cool when you're in the same classes with your odd nine-year-old brother. Sheldon's twin sister, Missy, who sometimes resents all the attention Sheldon gets, but also remains the one person who can reliably tell Sheldon the truth. Finally, there’s Sheldon’s beloved Meemaw, his foul-mouthed, hard-drinking Texas grandmother who’s supportive of her grandson and his unique gifts. 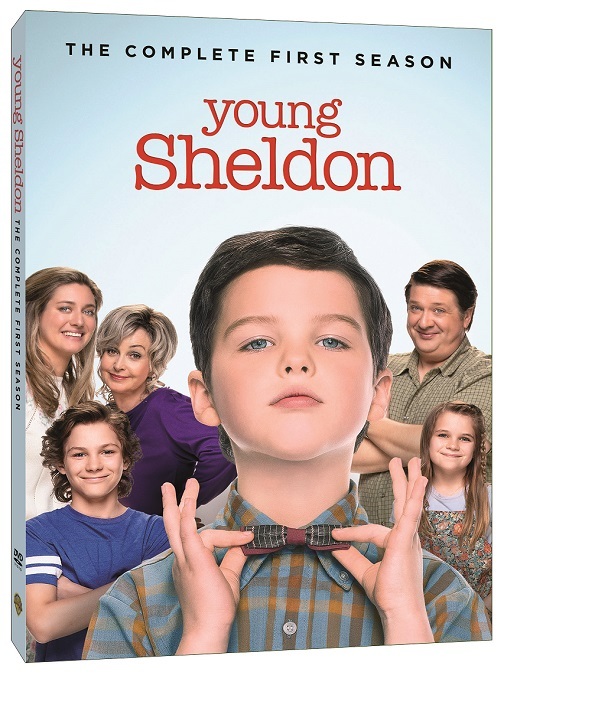 Young Sheldon season one is now available in stores near you. Yes, I have watched Big Bang Theory over the years but when I had heard about Young Sheldon I wasn't really that interested in watching it. When the first episode aired my husband wanted to check it out so we watched it together and we both enjoyed it but unfortunately after that episode we never got the chance to watch it again because we had another show that we liked that was airing on at the same time so when I received Young Sheldon season one on DVD we were happy to watch it. We enjoyed season one. It is funny but I didn't find it as funny as Big Bang Theory. It was entertaining and the lady who plays Sheldon's mother in this sounds so much like the lady who plays his mother on Big Bang Theory. (her acting is spot on). If we don't have a show at the same time as Young Sheldon airs I will continue watching season 2 .